Mustapha Kanit has had himself quite a year, and now he can call himself champion of the largest European Poker Tour high roller event ever held. Thanks to a three-way deal in the 2015 EPT Barcelona €10,300 High Roller, Kanit pocketed €738,759 in first-place prize money and moved to over $2 million in live tournament earnings this year alone. Earlier this year, Kanit scored a win in the EPT Grand Final €50,000 Super High Roller for €936,500. What's more is that Kanit's victory allowed him to soar past Max Pescatori on Italy's all-time money list, as the young star now boasts over $4.6 million in career live tournament earnings. 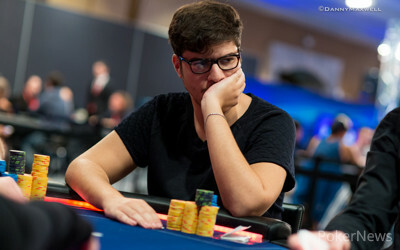 When three-handed play was reached, Kanit had the chip lead over Kuljinder Sidhu and Nick Petrangelo. The trio opted to take a look at the numbers. Following a bit of discussion, an agreement was made. 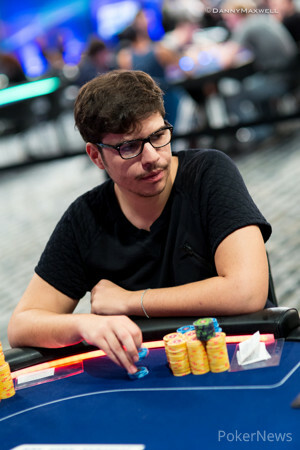 Sidhu officially received a second-place finish for €640,000, and Petrangelo took third for €592,840. When the day began, 30 players remained. There was much concern towards the end of Day 2 that this tournament would run very late into the night on Day 3, and no one would've guessed things would end before 10 p.m. local time on Sunday, but they did. Right from the start, the eliminations quickly began to pile up. Of note, Fedor Holz finished in 24th, Thomas Muehloecker busted in 21st, Adrian Mateos fell in 17th, and Mike McDonald went out in 12th. Then, Christian Jeppsson hit the rail in 11th and Jeff Rossiter was eliminated in 10th before the final nine players circled around one table. It wasn't the official final table just yet, because this was an eight-handed event, but it was when Sweden's Matias Jansson finished in ninth. It was then that Kevin MacPhee fell first, hitting the rail in eighth place for €108,500. After him, Gerald Karlic busted in seventh place for €155,600 before the remaining six players headed to a one-hour dinner break. When they returned, they did so with a bang. In what would be the most spectacular hand of the tournament, Petrangelo knocked out two of his opponents with one swift blow. He was involved in a three-way all-in clash with start-of-day chip leader Aliaksei Boika and former Aussie Millions Main Event champion Ami Barer. The three got the money in preflop, and it was Petrangelo's aces that took out Boika's queens and Barer's tens. Thanks to that big confrontation, Petrangelo vaulted into the lead in a big way, but his opponents didn't back down. The other three players fought hard to knock Petrangelo off his pedestal, with Niklas Astedt picking off one of Petrangelo's bluffs, Sidhu getting him with a flush, and Kanit earning a payoff on his value bet with pocket queens. Then, after Astedt was busted by Sidhu in fourth place, it was time to discuss a deal. At this point, Kanit had the lead with 11.63 million in chips. Sidhu was second with 7.99 million, and Petrangelo was third with 5.885 million. They went back and forth for a little while, but in the end reached an agreement on the numbers with a smile across each of their faces. "The tournament is over!" exclaimed Kanit, as he hugged his rail of supporters with open arms. "Let's all go get pizza!" yelled Sidhu from a few feet away, as he collected his belongings. With that, the record-setting 2015 EPT Barcelona €10,300 High Roller came to an end, and a glorious one it was. The final three players have agreed to a deal, and the tournament has come to an end. 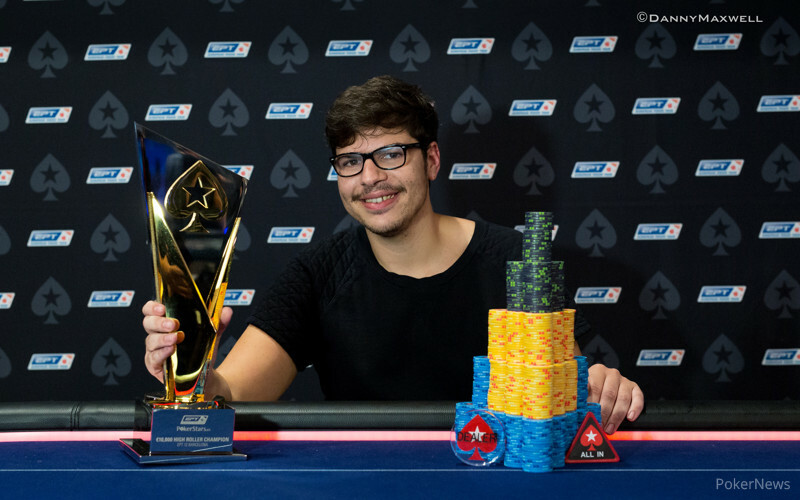 Mustapha Kanit has been awarded the title and the first-place prize of €738,759, Kuljinder Sidhu took second for €640,000, and Nick Petrangelo took third for €592,840. Stay tuned for a recap to follow. Following the elimination of Sweden's Niklas Astedt in fourth place, the remaining three players requested the clock be paused so that they could look at the numbers in order to discuss a possible deal. In the small blind, Kuljinder Sidhu limped in. 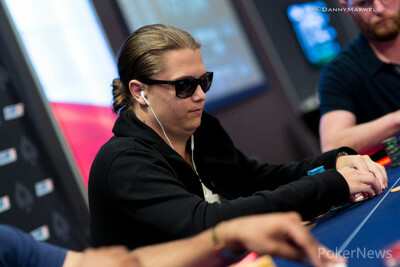 Niklas Astedt raised all in for 1.1 million, and Sidhu quickly called with the . Astedt had the . The flop, turn, and river ran out , and Astedt was eliminated in fourth place. On the button, Nick Petrangelo raised to 270,000. Mustapha Kanit reraised out of the small blind to 815,000, and Petrangelo made the call. The dealer spread the flop, and Kanit continued for 680,000. Petrangelo made the call, and the turn was the . Both players checked. The river was the , and Kanit fired a big 1.58 million. Petrangelo thought for a bit, then made the call. Kanit revealed the , and Petrangelo mucked his hand. Niklas Astedt opened to 250,000 from under the gun and found a single call from Nick Petrangelo on the button. The flop came out and Astedt opted not to continue. Petrangelo took this opportunity to bet 330,000. Astedt called. The turn was the and Astedt checked a second time. Petrangelo did the same and the finished off the board. Astedt slid a bet of 700,000 past the betting line and Petrangelo tossed forward a call. Astedt meekly tabled for a pair of fives. Petrangelo had that beat with and he took down the pot. Nick Petrangelo raised to 250,000 from the button and Kuljinder Sidhu called out of the big blind. The flop came down and Sidhu check-called a continuation bet of 250,000. The turn was the and Sidhu checked once again. Petrangelo continued his aggression with bet of 640,000. Sidhu called once again, allowing the to hit the river. Action went check-check and Sidhu rolled over for a heart flush. Petrangelo mucked and Sidhu took down the pot. On the button, Niklas Astedt raised to 200,000. Mustapha Kanit called from the big blind, and the flop came down . Kanit checked, and Astedt bet 225,000. Kanit check-raised to 575,000, and Astedt made the call. The came out on the turn, and Kanit checked. Astedt fired 625,000, and Kanit made the call to see the complete the board on the river. Kanit led with a bet of 1.175 million, and Astedt tank-called. Kanit rolled over the for trip nines, and Astedt mucked his hand.